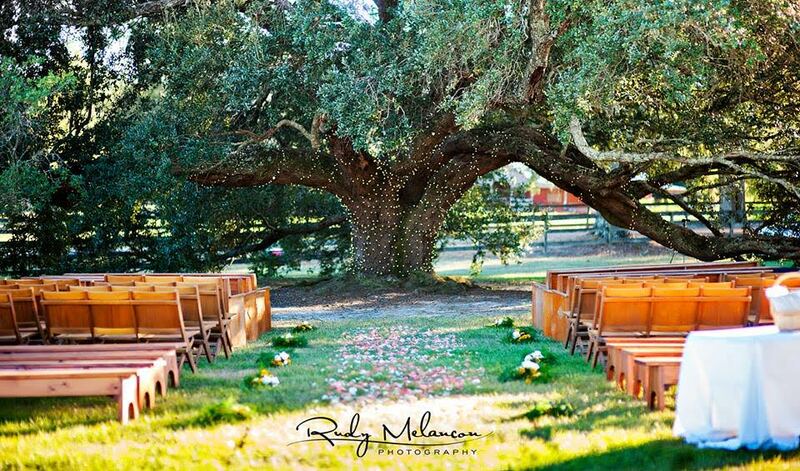 The Venue at Roseoak is situated just outside the City of Petal MS and a short drive from Hattiesburg MS. It is the ideal countryside location to celebrate your wedding day or special event. The large main room features vaulted ceilings and is appointed with elegant chandeliers and wall sconces. The luxurious Roseoak home includes 7,200 square feet with an elevator for that extra touch of convenience. This magnificent venue also hosts an enchanting bridal room, groom's room and 5 spacious bathrooms. The rolling hills and stunning grounds await guests just outside the back doors. A luxurious pool is also available to guests during their stay. Our venue proudly offers lovely views year-round and great outdoor space for all the special occasions of your life. Elegance awaits you at the Venue at Roseoak. 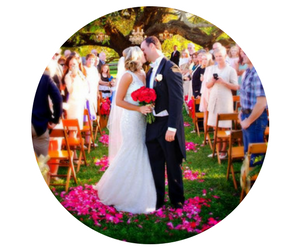 Whether you prefer an altar ceremony by a serene pond, an overlooking view of the grounds on a majestic veranda, or an alter settled by our two 300 year old live oaks, we have it all! Receptions can be indoors or outdoors, whatever you choose. Plus there are overnight bed-and-breakfast accommodations for the bride, groom and wedding party. We also have our own in-house photographer and florist! 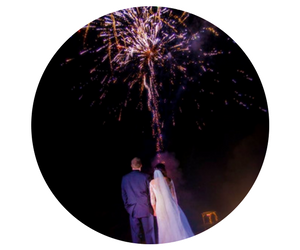 Evening weddings are especially beautiful with thousands of twinkling lights. Anything you could imagine for your wedding can be found at The Venue at Roseoak. 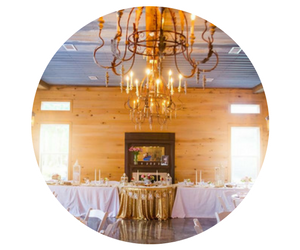 A lifetime experience can be yours at The Venue at Roseoak! No matter how large or small, we can accommodate your event and make it unique and special. With outdoor space on the veranda, patio, by the pool, down by the pond or the rolling grounds, it's waiting for you at Roseoak. Or, if you prefer indoors, informal or formal settings are available. Evening events are especially beautiful with thousands of twinkling lights, both inside and out. Whatever you need, we can provide including catering, flowers, and photography! A celebration at The Venue at Roseoak is always one to remember! Whether it's formal or informal, everything will be customized just for you! Outdoor space by the pool, by the pond, on the patio or veranda is available, as well as the spacious and gorgeous interior of The Venue at Roseoak. Evening events are especially beautiful with thousands of twinkling lights, both inside and out. We can accomodate any need you may have, so transform your dreams into a reality today!